Falafel has always been one of my favorite middle eastern recipes. Growing up in Amman, I have so many memories interwoven with morning trips to my favorite falafel place to get some steaming hot freshly made bites of bliss on a Friday morning for breakfast. Back at home, the tea kettle will be ready with some sage or mint to flavor the morning cup of tea, a platter full of pickles, sliced tomatoes, cucumbers and lemons all waiting to accompany falafel on the breakfast table. My only problem with falafel has always been the frying part. You see the falafel dough is usually made of chickpeas, fava beans or a combination of both with an assortment of herbs and spices. It is vegetarian, good for you and loaded with nutrients but the rain on this parade is that the patties are usually deep fried! I have been toying with the idea of adapting my go-to falafel recipe into a baked version for ages but finally got down to it a few weeks ago when we had a couple of baked falafel manakish wraps at a great Lebanese restaurant here. The chef’s brilliant creation involved spreading the falafel mix on a dough base (exactly like minced meat is spread on lahmacun ), it is then baked in the oven then layered with hummus, tomatoes, cucumbers, and pickles. Then it is wrapped. Simple yet the end result is seriously out of this world. That wrap was the push I needed to work on my recipe and after a few trials and errors, I am more than happy to share the final result with you and I do hope that you’ll give it a go and let me know if you love it as much as I do. At this point feel free to taste the Falafel mix to make sure it has a balanced flavor. 2.Add the milk and knead gently. عند هذه النقطة لا تترددوا في تذوق خليط الفلافل للتأكد من أن له نكهة متوازنة و عدلوا البهارات حسب ذوقكم الخاص. نضع صودا الخبز والبيكنغ باودر على عجين الفلافل قبل الخبز مباشره و ليس قبل ذلك و نترك العجينه ترتاح 10 دقائق ثم نبدا العمل بها. 2. نضيف الحليب ونعجن بلطف. 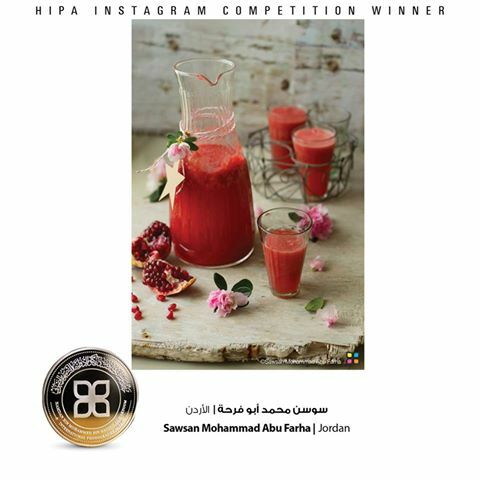 Posted in Appetizer, Arabic and middle eastern recipes, Back to school, Breakfast, lunch box ideas, vegan, Vegetarian and tagged arabic food, authentic, baked falafel, chef in disguise, falafel wrap, manakish, middle eastern food, فلافل بالفرن. Bookmark the permalink. Love the sound of these and they look amazing too. Those wraps also look great, with or without the falafel! What a brilliant idea. Like you, I don’t care for the fried version you get here. They always taste too oily and taste of what ever they fried last. This wrap is one I really wish to try. Sage in tea, I haven’t thought of that since I traveled in the Gulf region. How much fresh sage should one use for a pot of tea? Looks delicious like all your food! You take great photos! Love this idea!! Sooo much better than frying!! I have a question though regarding the amount of baking soda and powder per batch… is it 2 tsps of each for the entire batch of falafel mix for the 12 manakish? beans should be cooked before thurning theminto the paste? No need to cook them, they are chopped super fine in the paste and we will spread a thin layer on the dough, so they will easily be cooked through during baking. How lovely! My friend has proudly made grain free wraps for manakish and we were discussing these just yesterday. I am definitely making your felafel, thanks for sharing. Hello Sawsan. Thank you for the recipe. Tried it with nan ready made bread. Lately , I was having trouble preparing dough. So taste was true to traditional falafel, less the mess of frying. Spread the patty on the nan, sprinkled olive oil on top and baked for 5 min. Served with pickles, tomatoes, and ” tarator’ . I made small balls with what is left and stored it in the freezer. This way if I need to make 4 nans, I don’t have to defrost all. I grab only what I need. Thanks again. By the way I could not pin the recipe to my board. I love falafel but have struggled to find a good recipe. This idea is so fantastic; I can trust that you would have the perfect recipe. I am excited to try this out, in the wrap style and baking them as you suggested as well.